The Missouri Mom: Visit Kansas City for more than just the Kansas City Royals. Visit Kansas City for more than just the Kansas City Royals. Holy smokes it is baseball season and the time has rolled around for Missouri vs Missouri - the Kansas City Royals vs St Louis Cardinals in Kansas City, Missouri. Confession - I am a Cardinal fan, but ya know I cheer for the Kansas City Royals - because I am a Missouri Girl at heart. Now I know several of you will be heading I-70 to watch this great rivalry; I am a tad jealous as I won't be! However, being that I have been to Kansas City - I thought I would take a moment to share some great places for you to visit while you there! missing something. Kansas City Zoo is one of my favorite zoos to visit; it is small, yet offers a wide variety of animals and activities. There are few places that you can safely get close to wild animals - and the Kansas City Zoo is one of them. If you are an animal lover; like me! Another must stop is the Sea Life Aquarium - we absolutely loved Sea Life. In fact my son who was then 4 and is now 7 still talks about walking through the tunnel under the fish and petting the starfish - amazing how those little things really stick with them! Next door to Sea Life is LEGOLAND - need I say more? LEGOLAND is a giant playground for LEGO lovers! You build, you play, you build some more, and then you are so exhausted you pass out on your way home! On the artsy side? Check the schedule for some FREE fun at the Hallmark Kaleidoscope in Kansas City Missouri. Kaleidoscope is probably the most colorful place in Kansas City. Are you a history buff? If so I suggest stopping at Steamboat Arabia Museum in Kansas City - maybe not the most known history, but it is truly unique the way the have preserved the remains of the Steamboat Arabia and all the treasures they found on board! 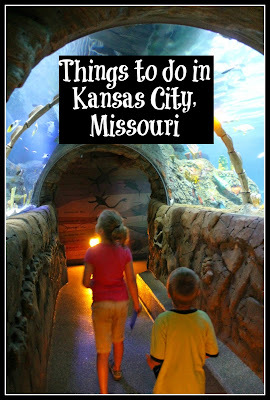 I have heard, but not discovered that the Toy & Miniature Museum of Kansas City is absolutely fantastic also - my friend Chris Bird (Standby Traveling Mom) suggest it among 2 other Edu-tainment Must-Do’s in Kansas City! If you are out for some exciting fun or summer fun, we went to Oceans of Fun in Kansas City - and it is totally worth the stop and splash! 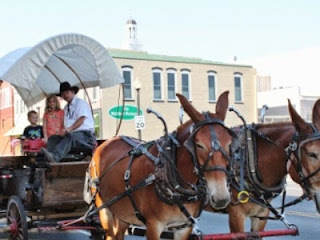 Just outside of Kansas City, Missouri sits the small town of Independence, Missouri. Independence Missouri is jammed pack full of adventure, history, and culture. Honestly I suggest you plan at least a full day if not two if you plan to visit Independence. In Independence, Missouri you can learn the history of the Mormon Church, take a tour of Harry S Truman's life, and learn to make your own puppet at Puppetry Arts Institute . Where is your favorite place to hang your hat in Kansas City? Have I missed a great attraction - if so do share!